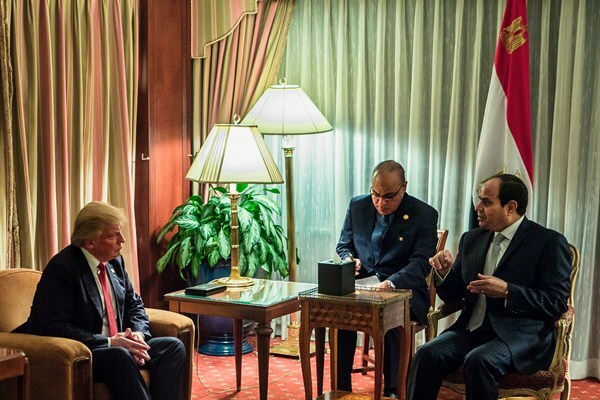 Then-Republican presidential nominee Donald Trump meeting with Egyptian President Abdel-Fattah el-Sisi in New York, Sept. 19, 2016 (AP photo by Andres Kudacki). Egypt’s general-turned-strongman, Abdel-Fattah el-Sisi, was the first foreign leader to call Donald Trump and congratulate him on his surprising election as president of the United States. Read into that what you will.